Now that Easter is just around the corner, we are all scrambling to find new and innovative ways to decorate Easter eggs. 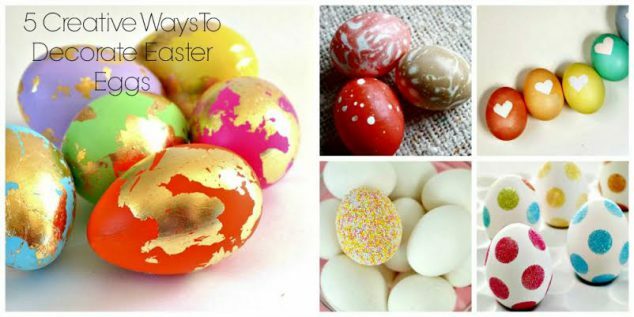 I’ve scoured Pinterest to find the most creative ways to decorate Easter eggs! These lovely blogs have topped the charts with novel ways to decorate eggs this year and I’m so excited to share these DIY Easter eggs with you! Visit the linked blog names for each full DIY Easter egg tutorial. These eggs are easy, affordable and too cute not to try out this season! I love the suggestion to use a faux or foam egg. Not only do you get the chance to decorate eggs but also you will have an adorable decoration to pull out next year! 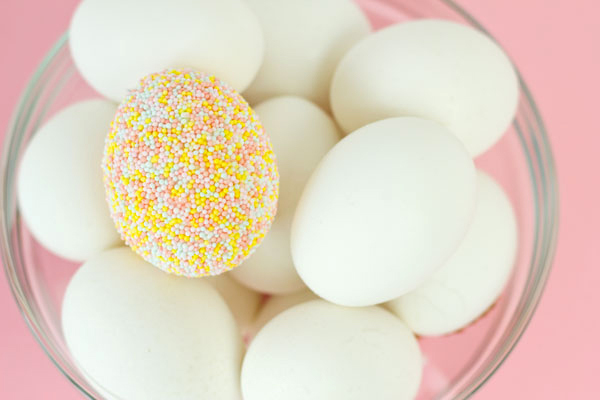 These sprinkles eggs are certainly one of my favorite creative ways to decorate Easter eggs. Simplistic! Seriously, these are so incredibly easy but come out so cute, they are perfect for the upcoming holiday! All it takes is double-sided adhesive stickers that have been hole punched and then a fair amount of sprinkling of colorful glitter. The Sweet Occasion blog has combined hearts, rainbows, and pastels to her Easter Eggs this year and I can’t help but admit I’m in love with these Easter Eggs! 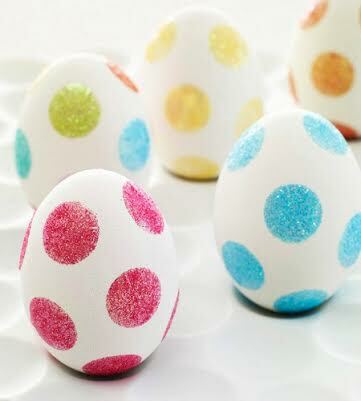 And I thought the No-Dye Glitter Eggs were easy, these eggs only require masking tape and dye! 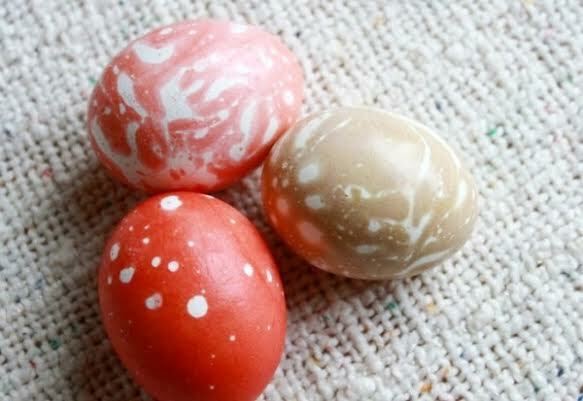 I think an ombre version of these would be the perfect way to decorate eggs this Easter. 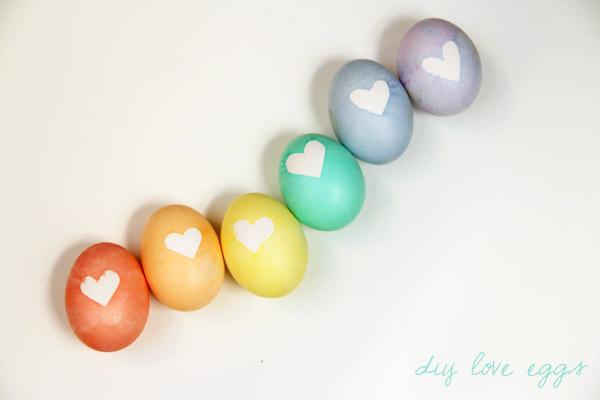 These DIY Easter eggs are gorgeous! I never would have realized how easy these would be to achieve until I found their post. All it takes is just a few ingredients; vinegar, hot water, kool-aid, and vegetable oil. These are ideal for the little ones in your life, all it takes is a little bit of dipping and and you’ve got yourself marbled eggs! This DIY Easter egg idea is one way to decorate eggs into a masterpiece you’d be proud to use as Easter decor. She has combined vibrant colors with an artistic twist of adding a gold leaf accent to her leaves. This my personal favorite of these unique Easter egg decorating ideas and is a must-try in my book! While probably not the best project to do with small-small children, I think any one over age 6 could easily participate in these beautiful masterpieces! 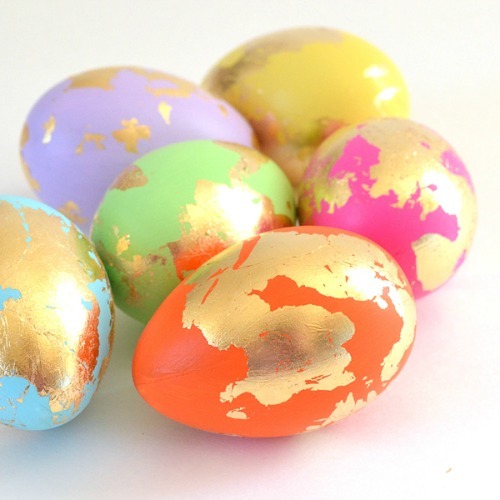 What are your favorite creative ways to decorate Easter eggs? Have you tried any of these DIY Easter egg projects before? 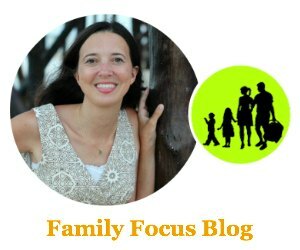 We’d love to hear your tales of decorating eggs for Easter in the comments or tag us @famliyfocusblog or #familyfocusblog so we can see your creations!